As we boldly launch into a new school year, I thought it important to post a recap of our first year (as well as a glimpse at what to expect in the new year) for our all our stakeholders, donors, and wider community. The 2015/16 school year, our first year in operation, was intended to be a test of sorts. As we hoped to increase mental health awareness among students, we sought to understand if there was a true need for our effort and if the students, schools, and wider community was accepting of it. If the response was positive, we would use the lessons learned to map our future growth. If the response was positive, we would use the lessons learned to map our future growth. Needless to say the response was overwhelming. With the incredible support of our first schools and community members, we installed Friendship Benches across Canada last year. In Ontario we installed 2 benches at Carleton University and others at Humber College, Niagara College, University of Waterloo, Holy Trinity Secondary School and St. Marguerite D’Youville. In Quebec we installed a bench during a memorable celebration at Champlain College and in B.C. we braved the rain while unveiling at Simon Fraser University. We’ve seen support from local businesses grow with fundraising/donations in the thousands of dollars, and we look forward to having them part of our support structure in the new year. We were featured in national and local news programs – on television, radio, and in print – with each installation. We grew our social media presence while experimenting with various types of content. And finally, we were challenged by some students and schools over what mental health advocacy to Canadian students should look like. Each engagement was a learning experience; each school provided us deeper insights into the plight of the modern student and what schools could use in terms of mental health support and outreach to their students. We’ve taken those lessons and used them in planning this coming year. Over the next 90 to 120 days, we’ll be adding Friendship Benches to Centennial College, St. Mary’s College, Fletcher’s Meadow Secondary, and Northern Secondary schools here in Ontario. 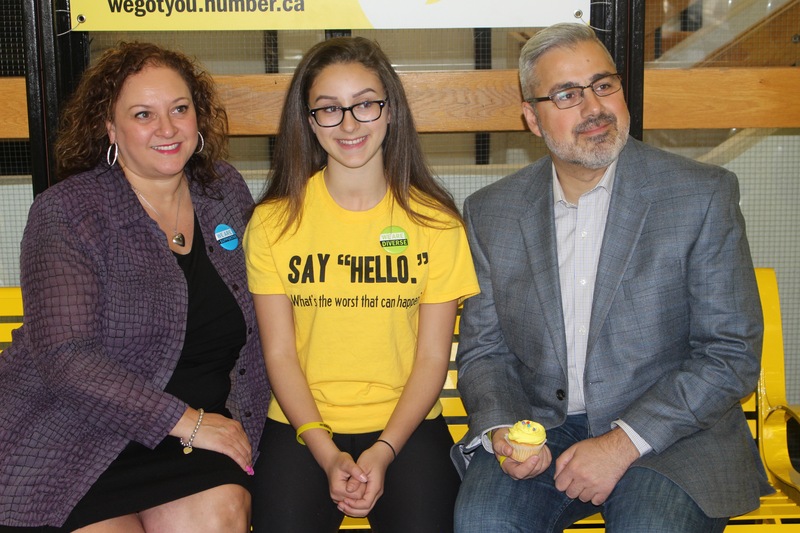 Humber College will be unveiling their second bench and Seneca College will see four benches unveiled at four campuses across the Greater Toronto Area. We’re also returning to British Columbia in a big way with unveilings at W.L. Seaton Secondary, University of British Columbia, and Vancouver Island University. We’re in final planning/fundraising stages with another dozen or so schools across the country for unveilings this Spring, too. 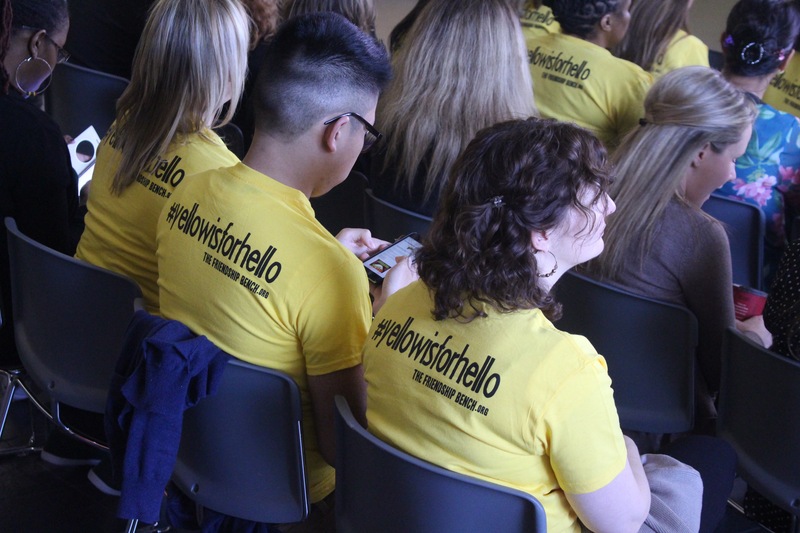 Interestingly, we’ve also received a lot of interest from community groups that wish to add our iconic yellow bench and #YellowIsForHello campaign in community fire halls, community centres, and parks…all of which we’re considering. We created another website: www.yellowisforhello.org, which all future benches will point to. It will connect students to on-campus support resources and provide student-focused content that will help deepen their understanding of mental health and encourage positive dialogue on the subject. TheFriendshipBench.org remains as our corporate website. Our social media presence has been refined a bit. You’ll notice more student-focused, positive content shared through Instagram and fewer but more targeted and positive content on our Facebook channel that speaks to parents and students alike. Among that content is a new feature called #MentalHealthMonday where we post a 3-minute video sharing tips on building resiliency and maintaining strong mental health while in school. Twitter remains our primary day-to-day engagement tool with schools and the wider community. Our volunteer team has grown to include a mental health advisory committee comprised of mental health clinicians that will guide our content and outreach, and together with our legal representation, we’ll be working on our charitable status application in earnest. In terms of outreach, I continue to lecture about mental health at community and school events and our team is busy working on a series of national awareness campaigns. will include a student music video challenge, our annual “10 Days of Happy” campaign, and we’ll introduce a photo contest among our host-schools that will challenge students to share photos of themselves sharing a conversation with friends on The Friendship Bench. These will include a student music video challenge, our annual “10 Days of Happy” campaign, and we’ll introduce a photo contest among our host-schools that will challenge students to share photos of themselves sharing a conversation with friends on The Friendship Bench. 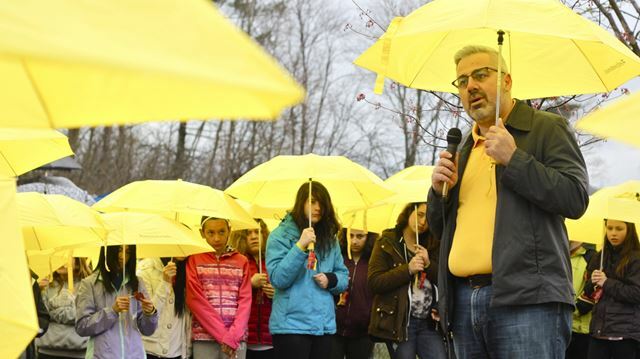 My son inspired us to reach out to students, to find those suffering in silence, and to fight for them. 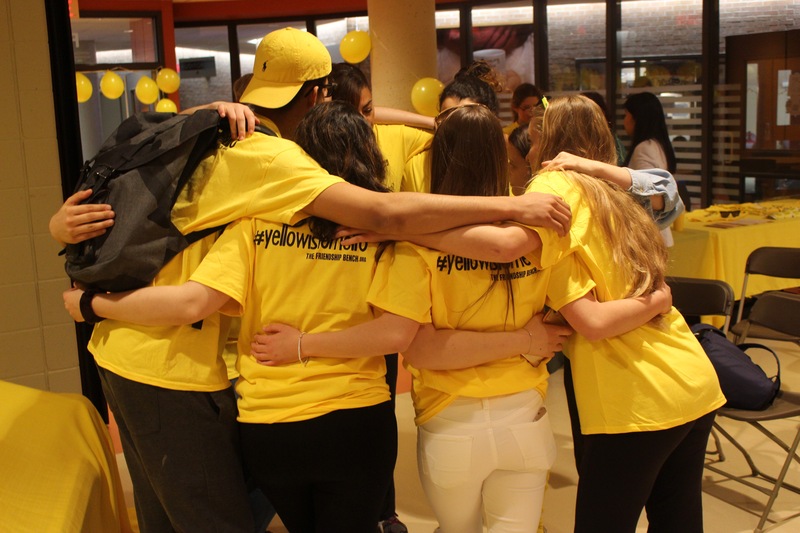 We’re committed to facilitating peer-to-peer conversations about mental health and to connect more students with available support services but we could have never reached this point without your generous support. On behalf of our team we wish to express our sincerest gratitude. On behalf of our team we wish to express our sincerest gratitude.